Can I Get A Custom Size? No - Only the different sizes as shown on this website. These products are set size & configuration items. They can not be modified or made to order. Gutter / Fascia: Yes - Finish in selected colour. Gutters are concealed & form part of the roof frame. Posts: Six (6) Posts 65mm x 65mm Square RHS Steel - The posts are set back along either side from both the front & rear of the carport towardss the center - approx. 1.08m from each corner. Refer to product assembly manual. Videos – Yes √ General assembly videos are available online. (May not be specific to this model). The image below is indicative only. 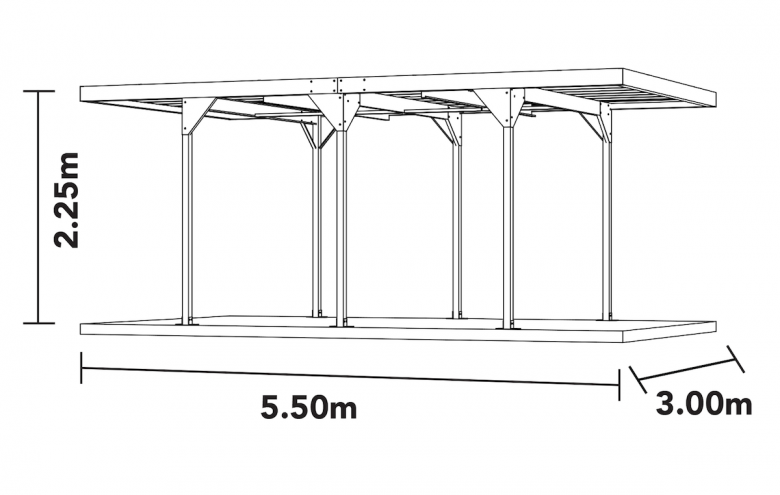 It represents what the bundled timber pallet for an awning or carport would look like. ABSCO Industries is a wholly owned Australian company that proudly designs and manufactures quality garden sheds, garages and other outdoor buildings, from their production and distribution facility in Brisbane. In fact, Absco have been producing Australia’s leading garden shed & outdoor storage solutions, for over forty years. They are a proudly family owned and run company, whose success has also seen them supply their market leading quality products to some of the world’s largest international retailers. The Absco vision and commitment to quality, value and efficiency, has been there from the beginning. In recent times, this commitment has driven their substantial investment in innovation, both in manufacturing and product development. Absco Industries has created a state of the art, in-house manufacturing process; that is built on multifaceted platforms of customised automation and advanced robotics. Through their contracted freight carrier, your Absco products are able to be delivered nationwide – With FREE delivery to the listed freight depots across the country, or for your added convenience – paid delivery to your home address. Absco products are first and best quality, and importantly, are truly unique. The Absco patented SNAPTITE system, presents to you the world’s easiest garden shed assembly system. What SNAPTITE means for you is one of the best and hassle-free assembly experiences there is. SNAPTITE reduces the number of fasteners by 75% & delivers an assembly time up to 80% faster. Quicker, easier; that’s the SNAPTITE revolution, that’s Absco innovation. 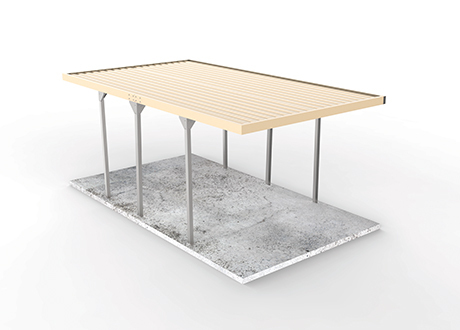 Please Note: Some products in the Patio Awning, Carport & Garage ranges, due to their unique assembly method, do not require & do not employ the Snaptite system. Absco products are supplied in kit form, ready for assembly. Absco sheds come in a variety of sizes, styles and finishes. That means there is an Absco product right for your backyard and lifestyle. Absco products are proudly Australian made from high tensile, chromium free steel, to ensure long-lasting strength. These quality Absco sheds are designed & made in Australia, for Australian conditions – Aussie tough & sold across the globe. Absco – Your choice in outdoor storage solutions and Discountsheds.com.au, a premium authorised Absco retailer. The popular Absco range of Carports is a smart choice for your property. From car accommodation, to a free standing entertainment area, these Absco Carports tick all the boxes. 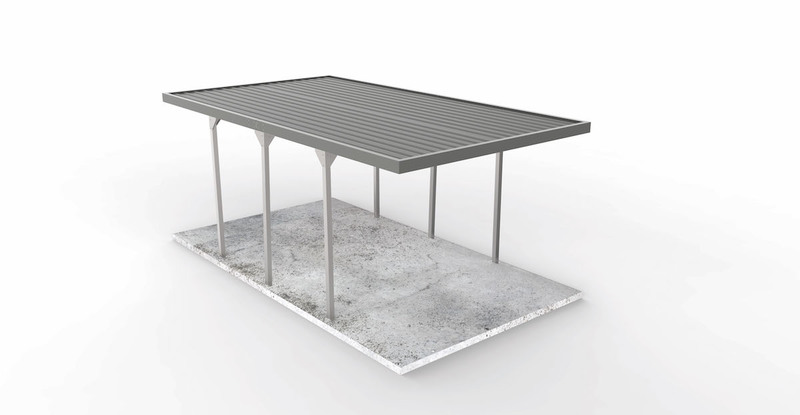 With maintenance free, all steel construction – the carport models are offered in two designs. 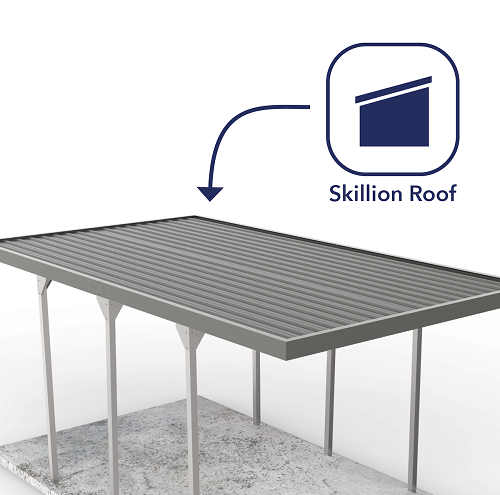 A slopping skillion roof (a flat roof that has a fall on it from front to back) or a gable roof (a traditional house like profile with the roof falling side to side from a centre high point). In each of these design configurations, there are various options. 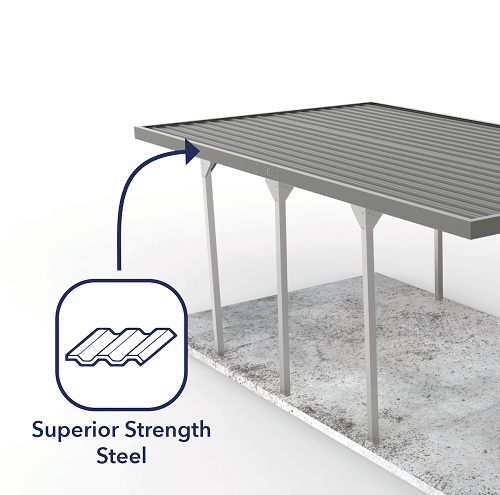 There are the single carports & the double carports, and each of these are offered in different wind rating compliance categories (including W41 C1 & Cyclonic W50 C2) dependant upon the specific model– to ensure that the Absco carport range has >95% of Australia covered. The carport models are manufactured from Bluescope (BHP Australia) Zinclaume® & Colorbond® steel (with a comprehensive thirty (30) year written manufacturer’s warranty), with some models in the Eco-Nomy range that are made with an imported steel roof sheeting product of similar gauge – at a budget price point. 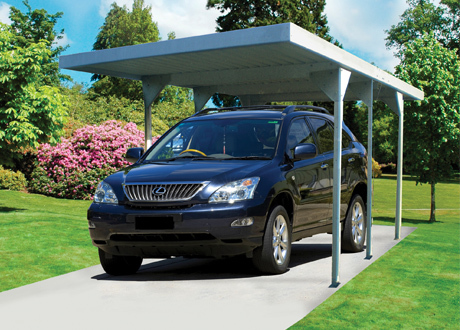 Choices galore – there is an Absco carport model just right for you. 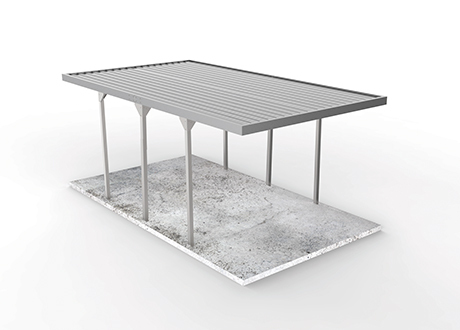 All carports are complete with fascia, gutters & downpipes. 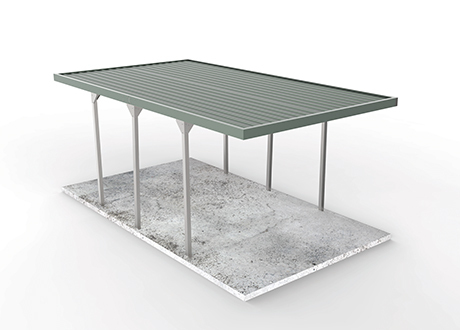 Regardless of the colour finish available (applicable to the roof sheeting, fasica & gutter), all of the posts & framework are galvanised. All fixings, including the concrete slab attachments are standard & engineers plans & associated documentation required for submission to your local authority are available prior to purchase. 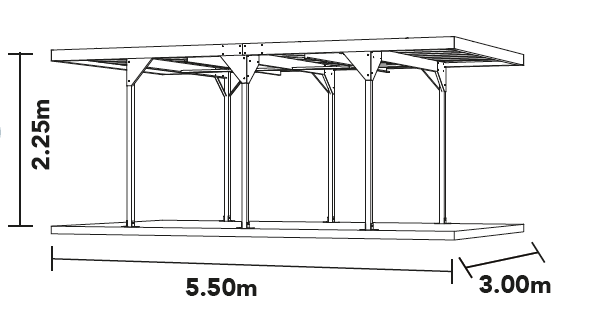 Please note that these carports cannot be modified or custom made to order to different size & configurations that is offered on this web site. 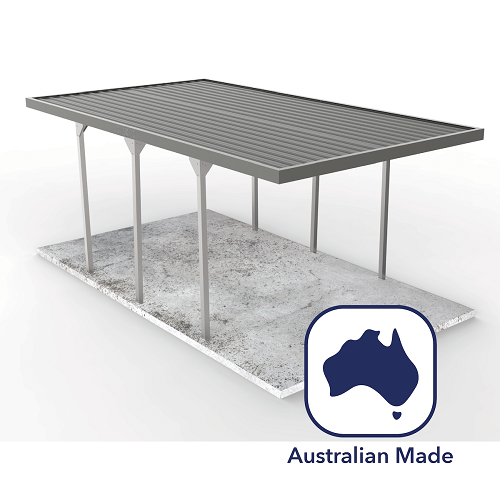 Save time, save money – make an Absco carport, proudly offered to you by Discountsheds.com.au – your new carport option. Head To Head Key Facts: Where Do They Differ? Absco products are made, held, dispatched and shipped – by the manufacturer – Absco Industries (Brisbane). The manufacturer will ship your order, FREE OF CHARGE, to any of the listed freight depots across their contracted network, throughout Australia. During the ordering process, the list of available depots is shown for your consideration and selection. Selecting the free delivery to depot option is the customer’s acceptance of the terms and conditions as they pertain to the delivery of this product(s). Upon your orders arrival and processing at the depot, the freight carrier will contact you to notify of its availability for pick up. Packaging dimensions, configuration & weight – of your ordered product, is listed in the “Specifications: Snapshot” tab on this product page. Please note, these locations are freight depots, only. They are destinations where your order gets delivered to FREE OF CHARGE, for your pick – upon notification of its arrival and availability. They are not warehouse facilities that keep non-ordered catalogue products in stock. The depots will only hold on to your delivered order for a few days (usually no more than 3-5 days), allowing you reasonable time for pick up. Failure to pick up your order within this period may result in storage and handling fees to be levied, as these depots are not storage facilities. Should these fees be charged by the freight carrier, this impost will be charged through to the customer. Depots are open for your pick up during their Mon-Fri weekday business hours. Please check with the individual depot you may potentially select, for specific hours (as they may vary across Australia – and may be subject to change). The manufacturer will ship your order to your nominated address, for a fee. This fee varies and is based upon the product ordered, its weight, volume, configuration and the delivery destination. Delivery of Carports / Garages / Patio Awnings are NOT Assisted Deliveries. No unloading assistance by the customer is required. Additional labour and larger delivery trucks with crane attachments, are used to offload these large items, that are delivered as single pallet bundles. These additional freight servicing costs are reflected in a increased delivery fee levied on these items. To co-ordinate with you the home delivery arrangements. Whether you are picking your order up from the depot or are receiving your order at home, it is extremely important that attention is paid before you sign for and receive the goods. Signing for the goods denotes the customer has received all goods as ordered & that they are in a good and fit condition. Note: Please keep all packaging materials until the product has been successfully assembled. This is to ensure that, if required, the manufacturer’s production labels/stickers are available for a legible photo to be taken & submitted to accompany any requests for the supply or re-supply of missing or damaged components. This is required by the manufacturer, under their quality assurance program, to enable them to action your pending request. For Absco products, the email is also to include photo(s) of the production information label both on the box and stamped on the internal parts (see example photos below). Please make sure this is done before packaging is destroyed / disposed of / or possibly perishes in the weather. These submissions are requested & required by the manufacturers. It is important for their quality assurance program and where applicable, their possible freight insurance claims. Local council building approval requirements should be researched, understood and complied with, before any purchase is made. 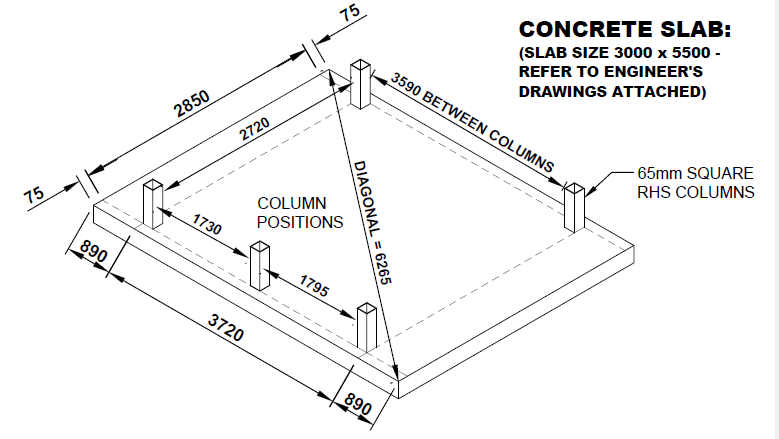 The manufacturer recommends that a suitable concrete slab or engineered footings, be present to adequately fix to and secure the assembled structure. (Refer to the product assembly manual and the products engineering drawings for concrete slab / footing details and specifications). Click below to download & review this products’ assembly manual, (and that of any available options and accessories). The hard copies of these instructions will be packaged and included with your order, by the manufacturer. All products have been engineered and manufactured using quality endorsed materials that meet Australian standards. Designed for maximum strength and manufactured from low maintenance ribbed steel sheeting for added security. Just like all items, maintenance at regular intervals may be required to ensure your quality Absco product looks great year after year. Washing down the steel sheeting on the roof & walls, assists in the removal of contaminating build up. Dust, grime, caustic bird & bat droppings, airborne salts, decaying leaf matter and other pollutants – may cause accelerated damage to the products finish. It is recommended that a regular wash down with clean water & a non-abrasive cloth or similar – may assist. How can I clean COLORBOND® steel? How do I fix a scratch on Colorbond® Steel? The recommendation is not to touch up. Minor scratching will not effect the life of the sheet and is rarely obvious to the casual observer. The use of aerosol touch-up sprays usually result in over spray & whilst not immediately obvious, the sprayed on colour may weather at a different rate to the colour and gloss retention qualities of the oven-dried paint on Colorbond® Steel. What sealants (silicone) can I use with COLORBOND® steel? Neutral Cure silicone rubber sealants are the only sealants recommended for use with COLORBOND® steel and ZINCALUME® steel. Look for the words “Neutral Cure” on the sealant cartridge to make sure. Note: Please refer to the manufacturer’s product manual to ascertain if the use of sealants or other products are recommended or acceptable for use. Some manufacturer’s specifically advise that these products should not be used & may void any warranties. Of course, positioning your shed or aviary in the most appropriate spot in your backyard, to start off with, ensures the best possible result for the hassle-free enjoyment & longevity of your purchase. Where possible, avoid positioning your shed under a deciduous tree, where falling leaves can accumulate on the roof & in any trim channels. These may trap decaying matter & moisture. Choose an area that is firm & level (in all directions). Ideally, the surrounding ground around the pad where the shed is to be placed, should allow for drainage away from the site. It is recommended that the shed be set on a suitable concrete slab and anchored down appropriately, per the manufacturer’s instructions. If your shed is secured to a concrete pad, it is important to understand that concrete is porous by nature. Any continued dampness in the soil may rise through the slab & into the shed, possibly causing condensation. A polythene sheet acting as a barrier, placed over the ground before you pour your concrete, will assist in minimising this. Applying a concrete sealer on the finished & fully cured slab, may also mitigate any moisture transfer inside the shed. Do not back fill against the walls or base of the shed. This may cause corrosion & void any manufacturers’ warranty. Do not allow fertilisers, pool salts etc. to come into contact with the metal parts & sheets. These may abnormally corrode these items & void the manufacturer’s warranty. Erecting a shed, in windy conditions is extremely difficult, dangerous & not advised.